This is the second volume of Roger Casement’s Selected Writings published by Athol Books. The first volume, comprising “The Crime against Europe”, with “The Crime against Ireland,” has not, so far as I know, been much commented on by professional, i.e. paid, academics, columnists or cultural guides, although they are authenticated writings of the man. I would hope they would now read both volumes and comment on them, if only for the pleasure it would give me to challenge the commentators. Recent comments on Casement by some of them suggest ulterior, even posterior, motives. Scholars today will tell you that Britain sleepwalked into war in 1914. No doubt the Providence of God guided her steps. Steps such as building the largest and most powerful fleet of warships ever seen, to complement a seemingly infinite Merchant Navy. A Merchant navy which included, in those days of rigid, doctrinaire Laissez Faire, an Admiralty-subsidized ocean liner, The Lusitania,with special features. By happy coincidence, French and British military leaders had already coordinated plans for joint action in a war on Germany. Thus, at the outbreak of war Britain’s Royal Navy effortlessly swept German merchant shipping from the world’s oceans and cut German access to transatlantic cables. News and comment uncomplimentary to Britain’s motives, policy and conduct were suppressed. Neutral ships, including American ones, carrying such comment, were seized, searched and robbed of them by the Royal Navy. Britain’s “paper wall around Ireland” whose destruction was a primary aim of Arthur Griffith when he founded Sinn Fein had proven to be a template for a paper wall around the world. British Naval Intelligence, secure telegraphic communication and the prompt interception and deciphering of foreign communications saved the sleepwalkers putting too many feet wrong. Moladh go deo le Dia! Besides, the Official Secrets Act was already in place, and the Defence of the Realm Act, was passed by Parliament in a single day (8 August 1914) only four days after the declaration of war. Perhaps sleepwalking Civil Servants had drafted it a long time earlier? Many Liberal MPs had long opposed Grey’s preparations for war and John Dillon, the Irish Party’s spokesman on foreign affairs had condemned it for years, but when the Party’s Chairman, John Redmond, without consulting Party colleagues or seeking a popular mandate pledged Irish support for the war, Dillon was silenced and Liberal MPs who would have opposed it, and C P Scott’s Manchester Guardian and the Daily News, theretofore opponents of the war policy fell into step with the warmongers. Casement was not only a critic of John Redmond’s folly and treachery to Ireland. His opposition to Britain’s role in the war arose from concerns wider than his Irish patriotism. He had published letters in Ireland and in the United States and made his way to neutral Norway when his former employers sentenced him to death, without a trial in October 1914. 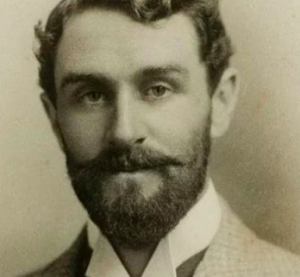 Casement had travelled in dangerous parts where he had made enemies and had taken the precaution of employing a Norwegian ex-seaman, Adler Christensen to help him with his business. The day they landed 29 October 1914, Christensen was seized and bundled intoa car by a couple of hoods who frogmarched him through the back door of the British Legation in Christiania (Oslo) to be interviewed by a staff member who questioned him on his employer’s identity and movements. Christensen gave him no help. The next day another British goon assailed Christensen and invited him to visit the Legation “where he would hear something good.” Christensen who kept Casement informed, accepted the invitation and was interviewed by the Minister, a Mr Findlay who informed him that if Casement were to disappear, it would be a very good thing for whoever brought it about. Further interviews followed an on 3 January 1915 the Minister, in writing on Legation paper promised on behalf of his Government £5,000, immunity from prosecution and free passage to America to Christensen the capture of Casement, who had committed no crime under British or Norwegian Law. The Minister had spoken of Casement’s being “knocked on the head” and had himself “had form” in Egypt organising outrages mentioned by Shaw in the Preface to “John Bull’s Other Island”. In addition to the promise of a reward, and expenses paid to Christensen, the Minister gave him a backdoor key to the Legation. Amongst the many pieces in the Collection is Casement’s letter to Sir Edward Grey, returning the Legation Key,the expenses paid by Mr Findlay to Christensen, a copy of the promise of £5,000, decorations given by the British to Casement, renunciation of his Knighthood and an explanation of his activities. Casement ensured that copies of his letter appeared in the ContinentalTimes and John Devoy’s Gaelic American in New York. When the British finally murdered Casement in August 1916 in Pentonville they were simply carrying out a sentence passed by the Foreign Office two years earlier. They were annoyed with the delay and got their revenge by blackening his name, with documents whose provenance has never been explained and which have not been subjected to objective examination. If indeed we’re all doomed to simultaneous extinction I would hope that the prime movers for that cataclysm, its clear-eyed, heartless prime movers, Sir Edward Grey and colleagues, will have been first exposed to universal execration and the sleepwalking myth will have joined them in the hottest pit in Hell.